This Special Report might be the most important you have ever read. We will keep it short and sweet. What we want to do is give you some key insights into what really is important to be healthy both physically and mentally – with the focus on food. · Why are people getting so fat? · Why are people dying of cancer? · What we can do to avoid this? If you eat as much non cooked or lightly cooked fruit, vegetable and lean meat as possible whilst avoiding sugar and carbohydrate rich foods– you will be well on your way to a healthy diet. Neurological System and Brain: Some recent breakthroughs has been studies showing that both olive oil and coconut oil are extremely good for ones circulatory system and also mitigate the risk of picking up dementia. Experts also think it generally helps the brain in older age, helps the nervous system and can even reduce the risk or effects of Parkinson’s Disease, Multiple Sclerosis and Motor Neuron Disease – three particularly feared degenerative neurological diseases. It’s our view that a daily dowsing of extra virgin olive oil on a salad and a table spoon of virgin coconut oil (you can gargl e with it, or just add it to some other food) – is extremely healthy. Tea and Coffee: Drinks that are very good for you are – green tea – which is like a cocktail of amazing vitamins and minerals, plus to a lesser extent normal brown tea. To maximise the impact, drink tea with a green tea bag and a brown tea bag in your cup – make sure it stews or brews for at least 2 minutes to get the maximum minerals from the tea-leaves. There are also studies suggesting coffee is very good for you also. So our advise is – drink tea and coffee alternately through the day – not more than 5 cups a day, but mix them to maximise the uptake of minerals. It’s also likely the caffeine in small doses probably energises a person – it’s a mild stimulant – gives a bit of a pep up – and this is good for health – its probably good for the circulatory system. Fizzy Drinks: With regard to fizzy drinks and fruit drinks – stop drinking them completely. Fizzy drinks in particular are highly acidic, corrosive and full of rich sugar that will immediately be taken up by your body and rapidly converted to fat unless you burn it off with large amounts of exercise straight away. Fruit drinks may seem healthy, but they are not because they are also full of sugar – and highly acidic. The benefits of a bit of vitamin C are way outdone by huge amounts of fattening sugar. Don't Kid Yourself - Alcohol is Bad: You may have heard of stories that people that drink a glass of wine a day live longer than people that do not drink at all. This is probably more to do with the correlation of people that drink a glass of wine a day are married, have friends, are from a more wealthy back-ground, get better medical treatment, more exercise and eat better, go to church and live in a nice area etc. There may be some good minerals in grape juice and one unit a day of alcohol may relax a person – but overall, don’t kid yourself – alcohol is one of the biggest killers in the UK. Have you ever heard of a highly successful business person or property investor that is an alcoholic – it really is very exceptional. To be successful you need to use you brain, be highly motivated and healthy – and alcohol does exactly the opposite – then makes a person paranoid and stressed in high doses. Our advice is – don’t drink at all – but if you have to drink – then restrict yourself to a maximum of one glass of red wine a day for only 5 days a week – if you need it for all seven days then you are indeed an alcoholic of sorts – and its probably best to seek help/counselling. If you drink more than say 10 units a week – you really need to assess the risks, think long and hard about why you are doing this – and whether it is the start of a slippery road downhill as you get more and more reliant on alcohol to keep you going. 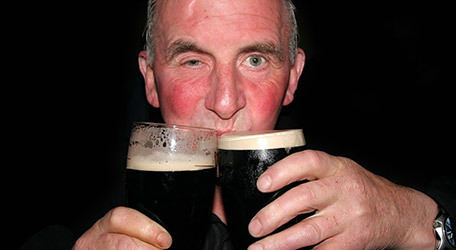 If you have to go to the pub – try drinking alcohol free beer if you can – see if you can still enjoy yourself. Pubs are great socially – making and maintaining friends – but you don’t “have” to drink alcohol to enjoy yourself. If you do, then it’s worth considering that you could be an alcoholic. If you need alcohol to get by, this is a sure sign of an alcoholic. And denial is probably with worst think - seeking help the hardest thing. UK Alcohol Abuse: Regrettably alcohol is one of the biggest curses on the UK society and eco nomy – it leads to gigantic value destruction, ill health, hidden costs and liabilities. There must be at least 10% of the population that is close to useless because of the effects of alcohol and with every alcoholic – there is probably 20 people that are affected and infected around them. We don’t know whether its politics, votes or acceptance within a primarily Christian culture or society – but alcohol abuse in the UK is endemic, normally accepted and increasingly destructive to our society. It’s almost a taboo to be very negative about alcohol consumption – some of the biggest drinking is done at Christmas – a cultural phenomena – why cant people enjoy Christmas without drink huge amounts? Why do we have to be worried about being attacked by a drunk if we want to take a walk around a town at 11pm on a Friday or Saturday night (or any night over Christmas)? Crazy. Blotchy Skin: If you have not noticed, alcohol also does awful things to skin. It makes it go red, blotchy – and gives you burst veins and blemishes in the face. It also tends to make skin flake, age and become more sensitive to wind, sun and the elements. You can often spot a heavy drinker just by looking at their skin. 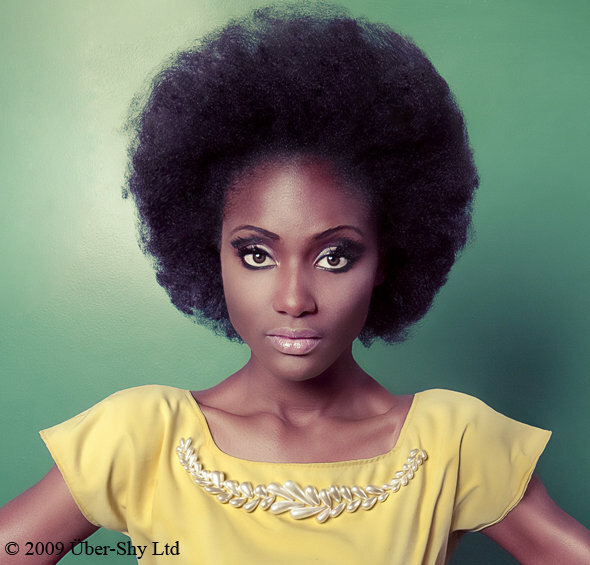 Cutting out alcohol will improve your skin and reduce the aging process! Even if you are not particularly vane, surely this is a benefit! 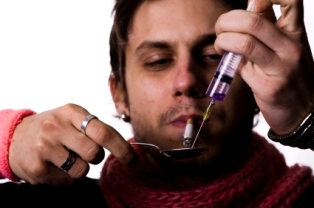 Drugs: These are the highest risk foods on the planet. There are very few drug takers that last until they are say 50 years old. Many perish before the age of 30. It is almost impossible to be a successful business person or property investor if you take drugs. 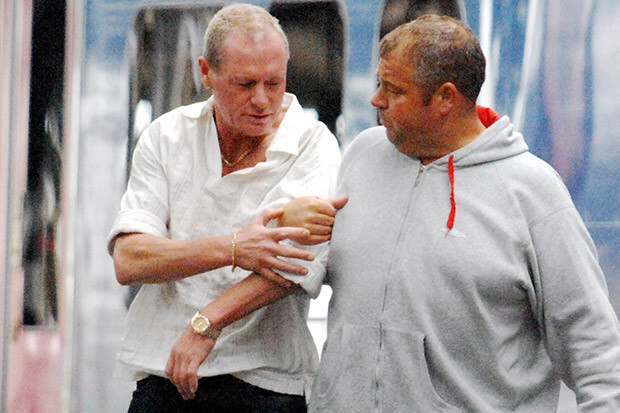 Ever yone will notice – everyone will know – and no-one will want to do business with a drugs taker. Anyone that takes drugs is a liability – not an asset. All drugs takers need to seek help and counselling before they perish. There are no safe non-proscribed illegal drugs – for instance dope/grass kills short term memory, is additive, makes users highly demotivated (chilled out when using and stressed out when not using). Other drugs are even worse – like cocaine, heroin, speed, ecstasy etc. Drugs permanently distort and destroy the brain cells – neural connections - particularly in younger people where their brain is developing from say age 13 to 25 years old. Bad trips can leave permanent damage to their brains – cause depression, phobias and paranoid behaviours. It’s simple – never take drugs. Try and discourage your offspring and family from taking illegal drugs – they are a real killer. Absolutely terrible for anyone’s health and drugs users head for early graves – there are many examples in our society, look no further than the newspapers for details of the latest person that has died of heavy drug usage, often in combination with alcohol. You see, over the years, the average person will lose 1% of their muscle mass each year after the age of 20. This means they need to eat 1% less food each year - but people continue to eat the same portions. The reason is that muscle is the main organ that burns energy. The key to losing weight is actually to increase muscle mass – or muscle size – and not necessarily do loads of high impact exercise. Yes, you have to work out – do some exercise to increase and tone your muscles, but it could be only 25% of the effort that you imagine. We still recommend running or cycling that is good for your cardio-vascular system – increases heart strength, but if your main challenge is losing weight – then the first and most important step is to build your muscles up – whether you are a man or a women – no difference. Of course exercise – like walking, running, swimming and cycling also increases the size of muscles and increases your metabolism – this is why people say exercise makes you lose weight – its far more to do with the increase in the muscle size that exercise causes than the actual calories it might burn during the exercise itself. If you exercise – walk, run or cycle an hour a day, it might burn 100 calories, but the extra muscle built is likely to burn an extra 300 calories a day even when you are sleeping and just idling around – sitting at your desk at work. So the key insight is – build muscle – then you will lose weight. If you eat all the foods advised above, build muscle and cut of sugar – then you should lose a lot of weight quite rapidly – and that’s exciting for most overweight or obese people. You don’t even need to run, swim or cycle. You just need to walk and use a bell weight and possibly pump iron at the gym - a full work-out of your muscles – to get going and lose drastic amounts of weight – and you wont even need to use a “slimming diet” – you can still eat loads of fruit and vegetables – nuts and olive oil and coconut oil. You just cut out the sugar and high carbohydrate foods like bread, potatoes, pasta, fizzy drinks, chocolates, alcohol etc. Vitamin Supplements: We are a believer in vitamin supplements – albeit if you follow the advice above you probably won’t need many because you will be getting most from your healthy diet. The only exception is Vitamin D – which one gets from sunlight – and as we all know in the UK – we don’t get much sunlight between September and March – and none if we don’t go outside - ref: have an office job. So at least in this six month low sunlight period, since the vitamin is so important – we advise a Vitamin D supplement. The other one is a “Multi-Vitamin” tablet each day – just in case you get unlucky and the diet above is not giving you enough of the correct vitamins. We also take Vitamin E, Green Coffee Extract, half a vitamin B table and 75mg to max 150 mg of Aspirin a day (thins the blood, that’s ¼ to ½ a normal pill of 300 mg). Water: There have been studies performed in the USA that almost conclusively point to “hard water” – or water with carbonate salts within them – having a strong link with improved health – less coronary heart disease and less cancer. It’s almost like the minerals clean your veins/pipes or descale them of fat deposits – the opposite to what hard water does in your central heating system (scale). It could be because of the alkalinity in the water – or the presence of the salts/minerals – or both. But rather than debating it too much – our advice is – if you live in a hard water area – drink the tap water and don’t filter the water. 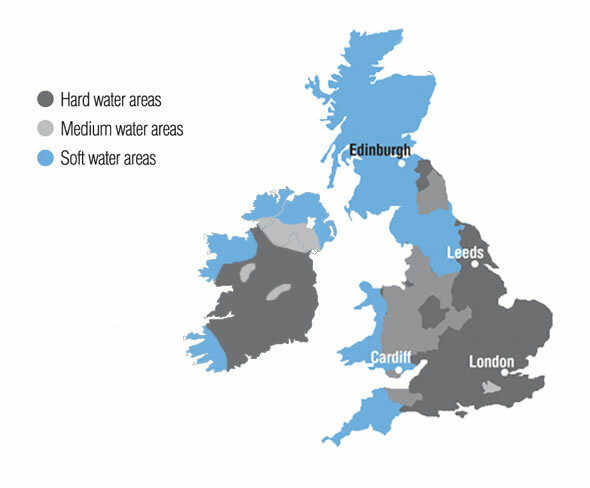 Areas with hard (good) water are generally to the south-east of the UK. This is where the younger and more calcareous (chalky/limestone) and salt rich rocks are. Bad Soft Water: If you live in an area of soft water – which is acidic (bad) – then buy alkaline bottled mineral water – with pH of 7.8-8.2 (note pH of 7 is neutral). Acidic water areas are generally older – metamorphic rocks, granitic, sandstones and mudstones/slate – that do not have much salt within them. Don’t drink the acidic local soft water – which may have an acidity of pH 6 to 6.5. Borehole water from chalky or limestone areas is best – so in London – although the water is normally reused – it is very alkaline – particularly SE of the city (Bromley) – so the tap water is excellent for your health so don’t filter it since you will be filtering out the good minerals and alkalinity! Alkaline Good - Acid Bad: As a general point – if you eat and drink alkaline food and water – this is better for you and some think this brings your body into a healthier balance. Your body needs to fight to keep the blood close to neutral - so if you keep eating highly acidic food and water, your body will be in overdrive trying to keep the body in balance. The problem with the western diet of high sugar, alcohol, wheat/pasta, processes foods, fizzy drinks and soft water is that they are all highly acidic and disrupt your normal metabolic system. This will weaken the immune system and make it easier for cancer to take hold – the sugar will also directly feed the cancers - cancer thrives in acidic rancid environments. Cancer likes to feed off sugar and fat in an acid environment. Even if you have cancer – by eating fresh foods that are alkaline along with hard water – you will almost certainly reduce the rate of cancer growth and prolong your life. So if you have cancer or a heart condition – its even more important to eat the “good foods” and “hard water” mentioned above – and avoid the “bad foods” and “soft water”. If you know anyone in your family with cancer – you need to tell them quickly. It could save their life! Cost: One of the slight downsides of the above advice is that in general – the foods we advise eating cost a bit more than the processed sugary foods. What you need to consider is how critical it is to put the proper fuel and nutrients into your body. You should not be scrimping on high quality nutrients that will keep you healthy and live longer – it’s a false economy of course – something you should not be sucked into. Yes – go out and spend some serious money on fresh black currents, strawberries, raise berries, nuts, dark chocolate, olive oil and coconut oil, and bottled mineral water if you live in a soft water area. You won’t regret it. Otherwise its like using the cheapest oil and out of spec petrol for your new sports car – you know the engine wont like it. But rather than being able to replace the engine, if you human heart packs in – “you’re a gonna” and that will certainly impair your property investing capabilities! Managing Risks: A key reason for writing this Special Report is we really think we can help improve our readers health – and of course – if you are healthy both mentally and physically – you are so much more robust and energised to go out, manage risks, invest in property and then make serious money and gain financial freedom. You will enjoy life so much more. Longevity: The final thought is that – if you make £ 10 million by the time you are 60 years old – and by then you are in poor health – you will wonder whether it was all worth it. Everything is a balance. You need to manage risk. And a key risk is health – poor health. If you follow the above advice, we really think your chance of living a longer and more fulfilled life will be greatly increased. You should be targeting getting into your 60s with all limbs/joints working, being strong, healthy, mentally alert, with no neurological complaints, in an optimistic frame of mind with a young outlook and appearance.